financial hedges (if he hasn't done so already) for the company. 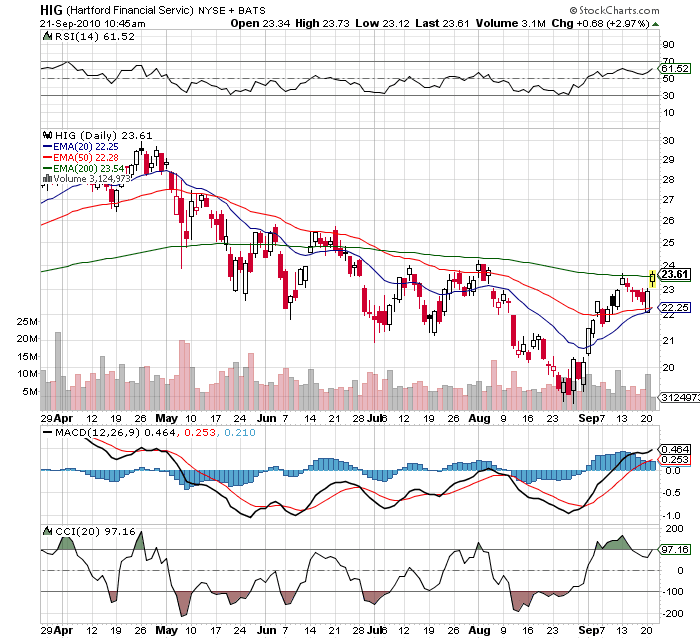 HIG remains one of the top positions in all of our portfolios. Currently trading at a substantial discount to book value in a much more stable environment makes them too cheap to pass up. Chart has turned much more bullish recently as well.